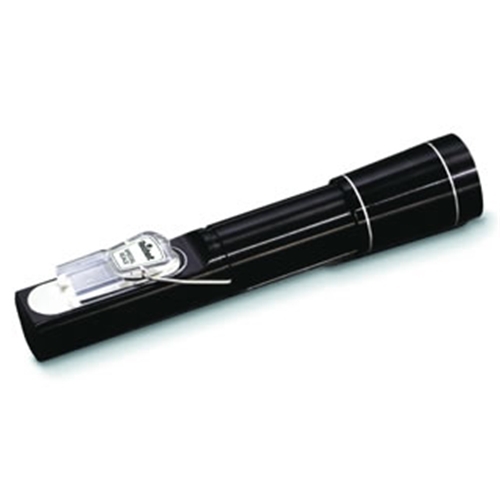 The Goldberg Brix refractometer measures % solids (Brix) in water-soluble solutions on a 0-30° scale. 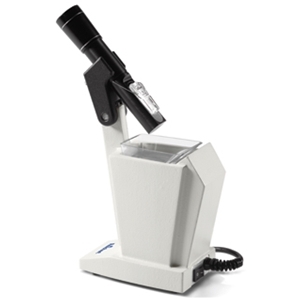 It provides high-end precision refractometry in a handheld model that produces results comparable to most benchtop Abbe refractometers -- % solids (Brix) better than 0.1%. Automatic temperature compensation provides accurate, reproducible results instantly using a hermetically sealed, liquid-filled prism that changes index with temperature instantly.